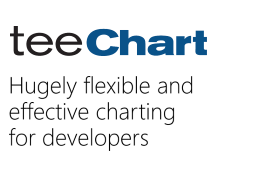 TeeChart VCL for Borland/CodeGear/Embarcadero RAD Studio, Delphi and C++ Builder. Steema Support Central writes to inform you of the availability of the latest TeeChart VCL/FMX 2018.26.181203 release with full RAD Studio 10.3 (RX/DX/CX) support. and adds full support for RAD Studio, Delphi, C++ Builder 10.3 Rio. Customers with active subscription may download the version at no-charge from the customer download page. If you'd like to try-out the new release you can follow this link to download the fully functional evaluation version. Version history for TeeChart VCL/FMX may be viewed at the product release notes.